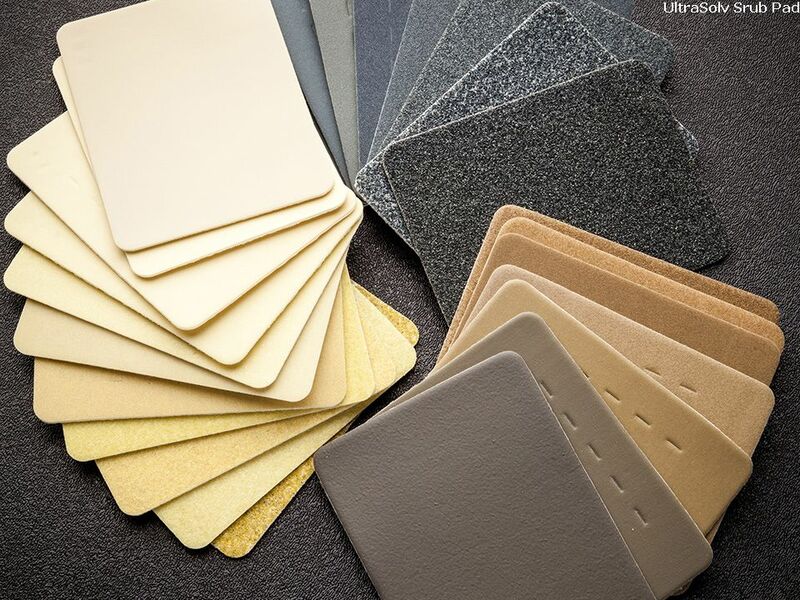 ScrubPADS® are patented scrubbing tools for use in PM procedures on process equipment in semiconductor, flat panel display, optical component and hard disk drive industries. The availability of various sized diamond, silicon carbide and aluminum oxide abrasives allow for safe and efficient scrubbing of the most difficult to clean process chambers. 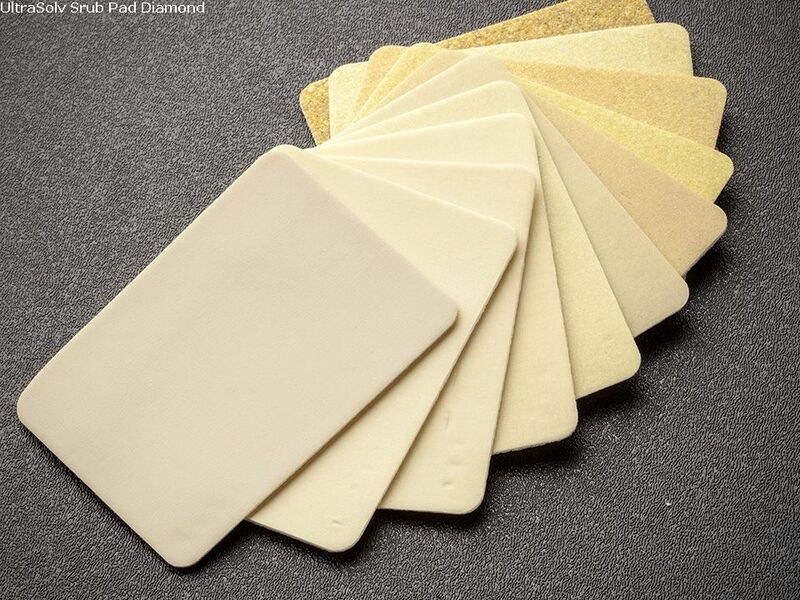 ScrubPADS®, used in conjunction with UltraSOLV® Sponges, Wipers, and Swabs, reduce cleaning times, pump down times and contamination levels for critical process tools. ScrubDISKS® are the same patented material for use with ErgoSCRUB®. 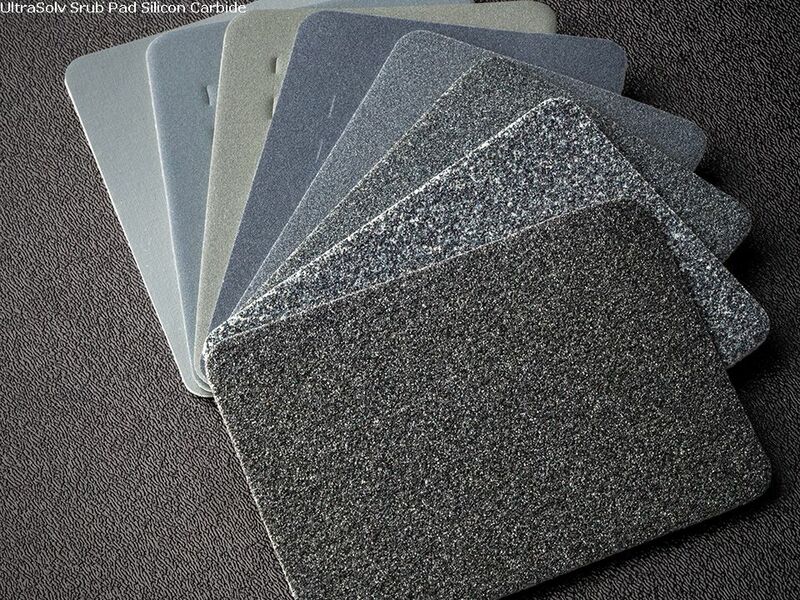 Wide grit selection allows for quick removal of process-induced residue from aluminum, stain less steel, ceramic, glass, quartz and anodized surfaces while minimizing tool wear. 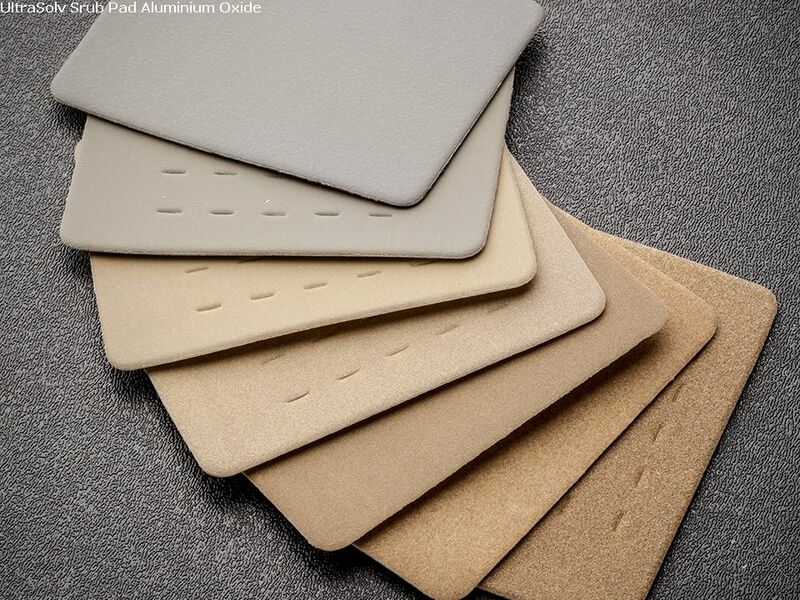 The fiber-free construction of ScrubPADs greatly reduces particle levels in cleaned Tools. By using washed abrasives, harmful ionic residues are minimized. Unique bonding technology minimizes the release of abrasive particles leading to cleaner PM procedures. Enables the elimination of H2O2 from PMs, which greatly reduces recovery times. Clean and unload with UltraSOLV® Sponge for longer life.